One of my hands down favorite foods to make is quiche. 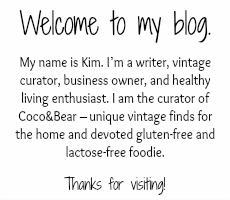 I’m a French Canadian girl and have always loved making a traditional Quiche Lorraine for a Sunday brunch or really, anytime! Being gluten-free has really got in the way of me enjoying this egg filled, buttery crusted delight – until now. Yesterday, my boyfriend and I went out to Whole Foods to get our groceries for the week. We were walking down the frozen food aisle when I saw it… gluten-free pie crust. I literally shrieked with joy and immediately grabbed a package and exclaimed that I was making quiche for dinner the next day. So tonight, I decided to make a broccoli and spinach quiche with onions and prosciutto. 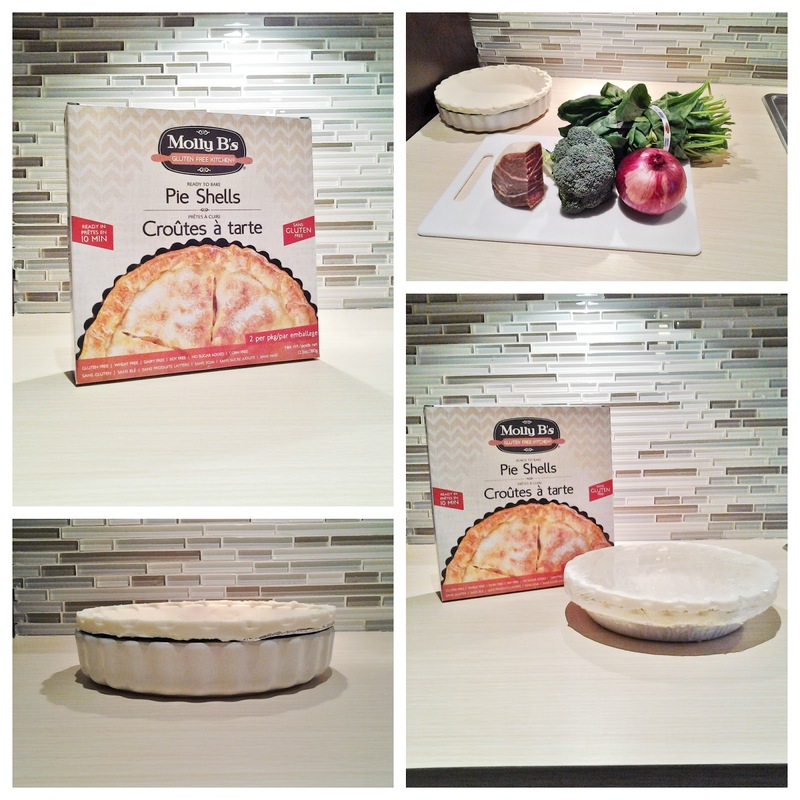 Pie shells from Molly B's - available at Whole Foods. Comes with two ready to bake pie shells. Turn on your oven to 375C. 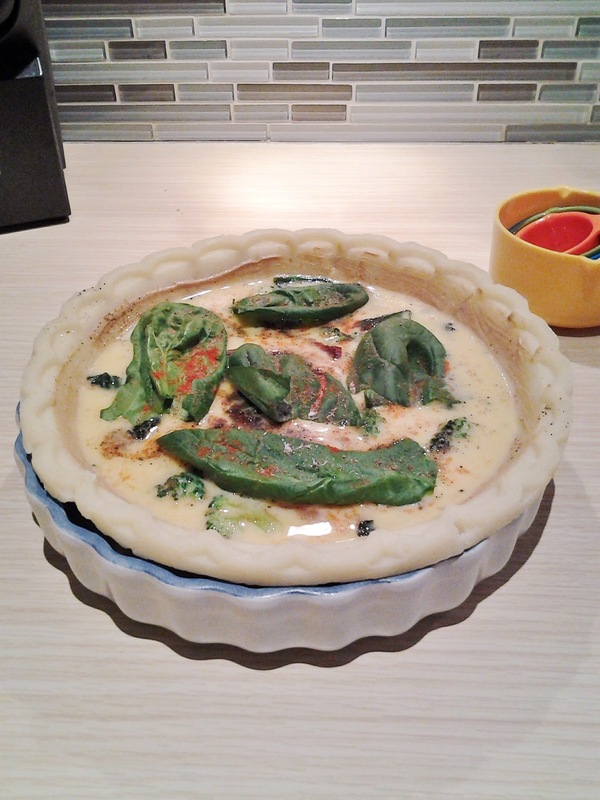 Take out your pie crust from the freezer and place it in your favorite serving dish. I like to place the frozen crust in the oven for about 5 minutes while I’m prepping all of my other ingredients. This just helps to begin the cooking process and it won’t be frozen when you put the egg mixture inside of it. Prepare your spinach leaves, broccoli florets, red onion and prosciutto (optional). The great thing about quiche is that you can really put whatever food combinations you want in them. Some of my other favorite recipes have ham or mushrooms in it. Feel free to substitute any of the ingredients I’m putting in for your own. If you’re not lactose intolerant like I am, feta cheese goes great in a quiche! Sprinkle a bit of olive oil in a pan and place your prepared items in a frying pan for 3 – 5 minutes or until golden. Set aside. In a separate bowl, add your eggs, almond milk and water. I use almond milk because I’m lactose intolerant. You can easily replace this with regular milk, lactose-free milk or soy milk if you’d prefer – same amount. Whip together and add pepper and sea salt. Add the friend ingredients into the egg mixture and mix together. If you were adding cheese, this would be the point to do so. ﻿﻿﻿﻿﻿﻿﻿﻿Before putting your mixture into the crust, I like to lather my crust in Dijon mustard. I take a pastry brush and just brush it over the entire center and sides of the crust. Once done that, pour in your egg mixture into the crust. That’s it! Place it in the oven for 40 – 50 minutes. Everyone’s oven is different. When I make this at my moms, it usually only take about 35 minutes but when I make it at home, I end up having to leave it in for closer to 50 minutes. Just keep an eye on it and you can put your fork or a toothpick into the quiche to see if it’s ready. If your toothpick comes out wet, it isn’t ready. 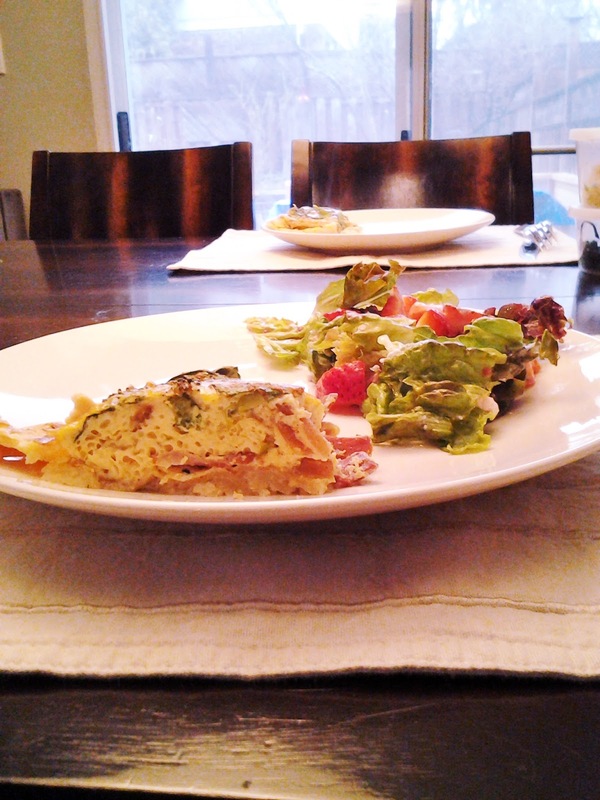 Serve your quiche with a salad of your choice. My personal favorite is this strawberry salad with raspberry vinaigrette, goats cheese and candies almonds. To - Die - For! On a cold day, you could also pair it with a vegetable soup. Whatever you do, don't let anyone put ketchup on it... yikes!